If you like pine nuts, then fall is the time to visit Eastern Nevada. The mountain pinyon trees are heavy with their delicious crop this year, if you know where to look and have the patience to harvest them. The Bureau of Land Management and Humboldt-Toiyabe National Forest allow individuals to gather as much as 25 pounds of nuts on public land without a permit or fee. Great Basin National Park also allows the same amount of harvest per household. That’s a lot of pine nuts. For centuries, the raisin-sized nuts were a vital subsistence food for Nevada Indians. Besides being tasty, pine nuts are rich in protein and magnesium, and also contain important antioxidants and nutrients that support heart and vision health. These days, their sweet, subtle flavor makes pine nuts a popular ingredient in fine cuisine. But what many people don’t know is that most store-bought pine nuts come from Europe and Asia. Nevada pine nuts aren’t just local, they’re also larger and easier to shell than the imported varieties. 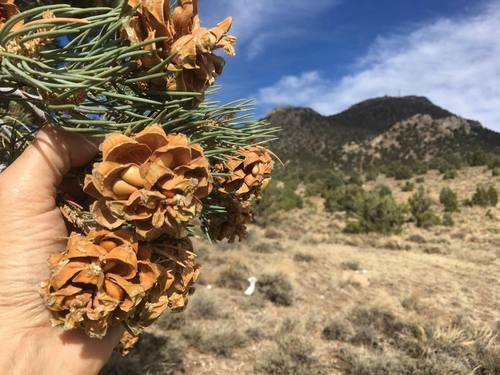 Pinyon pines (Pinus monophylla) are easy to identify: They’re the only American pine species with a single needle structure, rather than clustered needles like other pines. The nuts can be eaten raw or roasted. They store well for up to two years if frozen. Harvesting pine nuts is a great excuse to get outside and learn a little about nature. But it’s also a lot of work, so bring friends. And for an excellent read on everything pine-nutty, check out Ronald Lanner’s book, “The Piñon Pine,” published by University of Nevada Press. 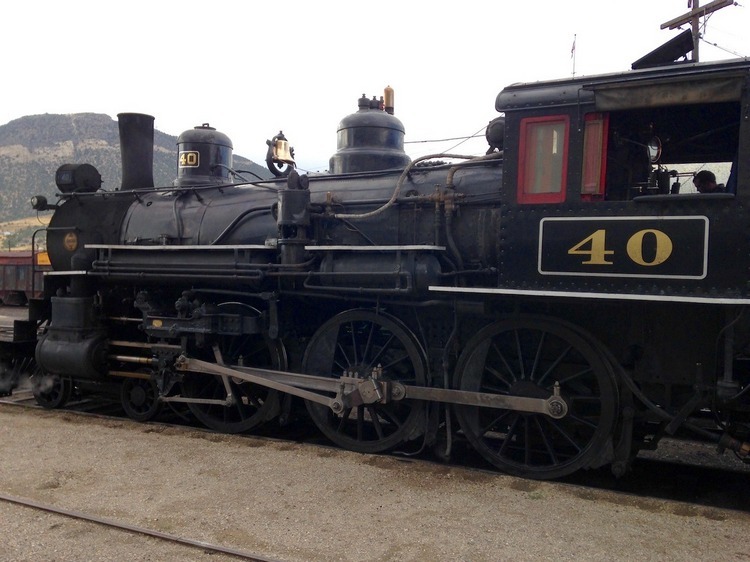 Another Ely fall treat is the Ghost Train, a special series of trips aboard the historic Nevada Northern Railway. It’s an after-dark, Halloween-themed excursion on the original mainline track from Ely toward Ruth. Passengers are encouraged to wear costumes, and they’ll be treated to a series of surprises along the way courtesy of local volunteers who get really into the Halloween spirit. Two tunnels along the route are said to provide special thrills. The Ghost train runs every Saturday in October at 7 p.m. with an extra trip on Friday, Oct. 27, also at 7 p.m. Tickets are $39 for adults and $20 for children 4-12 years old. You’ll want to reserve tickets in advance. Where else but Nevada can you drive your car on a public highway as fast as you dare — without getting a ticket? That would be the Silver State Classic Challenge, hosted in Ely, which celebrated its 30th anniversary in September. Twice each year, in May and September, organizers obtain permission from the Nevada Department of Transportation to close 90 miles of State Highway 318 between Lund and Hiko. This September, more than 130 drivers signed up (entry fees range from $200 to $900) for the chance to test themselves and their cars against the open road. Competitors come to Ely from all over the world for the event, which is hosted by the Hotel Nevada and includes a parade and car show for the public. 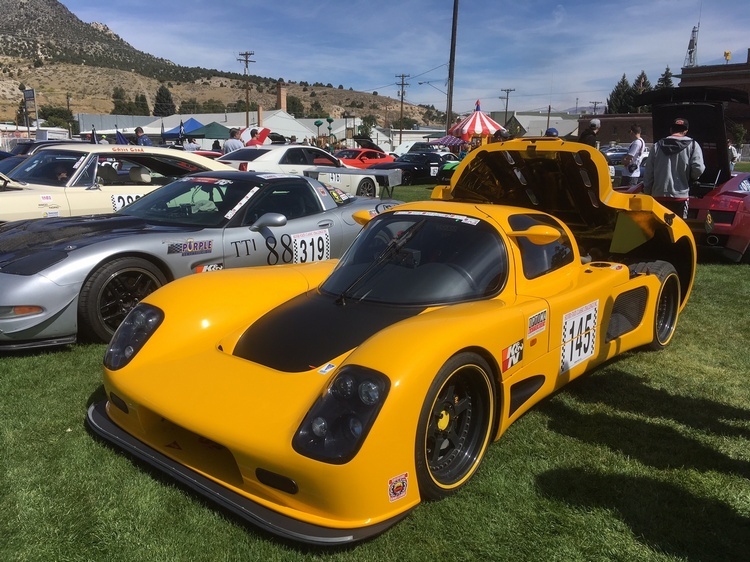 Robert Wood’s yellow Ultima GTR., an English-made, Chevy-powered supercar, set an average speed of 171.39 miles per hour in September’s Silver State Classic Challenge. It was the sole entry in 170 MPH Class. In the “unlimited” car class, the goal is simply to set a personal top speed record. In last May’s event, the record for top speed on a public highway was broken by Robert Allyn, 60, of Tucson, Ariz., who reached 219.643 mph with navigator David Bauer in the shotgun seat. Their car was a 2001 Chevy Monte Carlo that previously ran on the NASCAR circuit. In other race classes, the goal is simply to maintain a set average speed — 170 mph, 160 mph and so on, which classes starting at 95 mph. So the field is open to showroom-stock sedans and vintage muscle cars all the way up to expensive exotic sports cars and converted racers. Fastest average speed in the September event was set by Joel and Diane Hannig, of North Dakota, in a 1995 Ford Thunderbird (also ex-NASCAR) at 195.74 mph. The next Silver State Classic is set for the weekend of May 18, 2018, in Ely.